It doesn’t seem possible, but it has been 5 months since we returned to Kenya. Since our last update we have truly settled in, established routines, and figured out what day-today life will look like. There have been a few big changes for us recently. In July, Jessica started working at Rosslyn Academy, where she will work 3 days a week as the Alumni and External Relations Liaison. In August, Sophie started KG at Rosslyn. She absolutely loves going to school. The adjustment to going 5 days a week was a bit much for her to understand….she keeps coming up with propositions of adjusting the school schedule to allow for longer weekends, half-days, or holidays, that she wants to take to her principal, but we have encouraged her to embrace it and she will get used to it. 🙂 Sophie starting school has been a bit of an adjustment for Ethan, because for the first time he is staying home alone. He does well with it, but we hate the idea of him being home without other kids and with only a very small yard to play in, so we take him to the office with us and on project visitations, when it is possible. In late July, President Obama made a visit to Kenya. It was a very exciting time for the country, not only due to having a visit from a US President, but mainly because of his Kenyan roots. It was also exciting for us personally, because Rosslyn Academy was chosen as a landing site. Overall, things are going vey well for us, and we are so thankful to live and serve in this amazing country. The last couple of months have been extremely busy, with many miles driven, and we are so thankful for it! During our weekend in Isiolo we were also able to visit Kianthatu Academy in Giithu, Kenya, to see if there was a way for us to partner with them. It is a wonderful school with an incredible mission. We are hopeful that we will be able to partner with them more in the future. We have also been able to visit several of our feeding programs, delivering food, getting updates on People to People children, and checking on Sustainable Development Programs (more below under “Projects”). Several doors to lead and participate in Worship Ministry have opened up for us. In the last couple of months we have had the opportunity to lead worship at International Christian Fellowship a few times. Jessica has also continued serving through music ministry at Calvary Worship Center occasionally. Jamie also continues to have opportunities to speak. Construction on the Tilapia Fish Pond sustainability project at Hosanna Children’s Home is complete! Unfortunately, Beatrice Wambui, the director of Hosanna, was in a car accident and has been recovering. She and her family are all ok, but healing has taken some time. Now that she is better, the fish pond will soon be stocked with Tilapia fingerlings. This fish pond will provide support for Hosanna in a variety of ways. It will, first of all, provide a sustainable income source that will assist the orphanage in meeting the many costs of feeding and housing the 51 children. It will also provide an additional source of healthy protein that can supplement the feeding program. Thank you for your support of this project! We have also started an additional Chicken Project at Calvary Community Prep. School. We assisted in purchasing 200 broilers, that will be raised for 6 weeks, and then sold in a local market. The income will allow for the purchase of 200 more broilers, as well as a financial supplement for the school feeding program! Also, would you consider sharing this with others that may be interested in supporting these projects? Kindergarten Scientist… Visiting the waterfall at Karura Forrest…. At the end of a long, hot day of service in Isiolo. Ethan and his new buddy at the Karura waterfall. So thankful that both of our kids enjoy hiking! Camping for a night on the way home from Nakuru. To Support specific Projects click here. Many people have been asking us how to best partner with, and support, our work in Kenya. Here are several different opportunities to partner with us. If any stand out to you or grab your heart, we would greatly appreciate your support! 1. 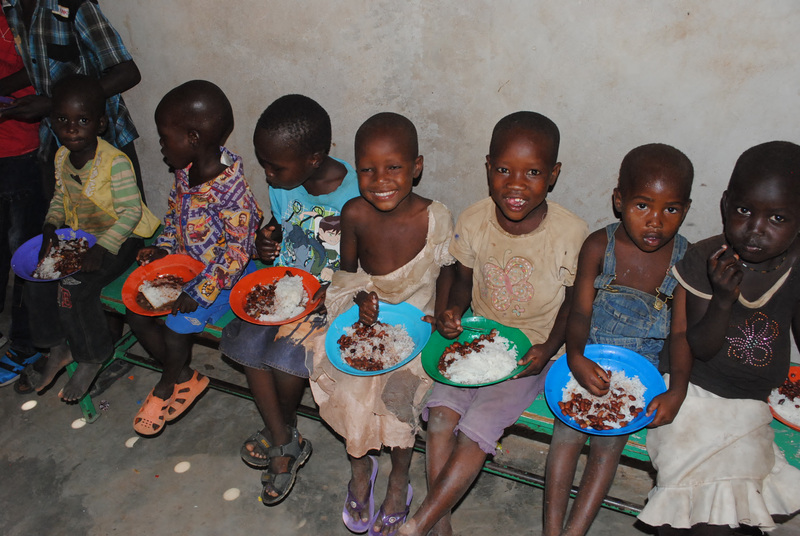 Sustainable Development for Feeding Programs in Kenya: We are working with our partner orphanages, schools, and feeding programs to move them towards self-sustainability through income generating projects. This gives them the security of knowing that the day-to-day needs for the children are met, regardless of the amount of support they receive. This project can be supported here: Sustainable Development Funding (choose Ministry option) Please send us a message if you choose to support! Gladys and Alice of Christian Ministries to the Destitute in Nakuru (home to 150 children) on the 5 acres of land where we will be planting maize and beans for the feeding program as well as income. Tilapia Pond that will provide fish/funds for Hosanna Children’s Home, home to 51 children. This project can be supported here: NKFP Support (choose Ministry option) Please send us a message if you choose to support! Pastor M serving the children at the feeding program in Lokichoggio….This is one of the three projects supported by the Northern Kenya Feeding Program. 3. Child Sponsorship through People to People: People to People Ministries provides a physical connection with children from the feeding programs and ministries that we are working with. We are currently seeking sponsors for several children at our partner orphanages. For $25 a month, child sponsorship provides nutritious food, medical care, educational opportunities, guidance, and life-changing skills. If you are interested in sponsoring a child through People to People, you can set that up by emailing us at: http://jamandjessdunning@gmail.com. 4. General Ministry and Project Support: This is an all-purpose account. The funds are not designated to a specific project, but are used for a wide variety of needs as they arise. We have used these funds for building projects, Christmas gifts for children, medical needs that arise with directors or children, micro-finance loans, and general travel expenses. This can be supported here: Dunning Ministry/Project Account (choose Ministry option) Please send us a message if you choose to support! Thank you for your interest, consideration, and prayers. The last couple of months has been full and incredibly busy. Not only have we made a lot of progress in our work and ministry, but we have also made huge steps in getting settled. The most exciting recent development is that we finally moved into our own house. Our main priority was to find housing where we would feel secure, even when Jamie was traveling. We were very fortunate to find a great house in a safe and secure gated community that is situated in a very convenient part of town. Our community is made up of several multi-homed courts. Our court has an international blend of families, many of which have young children. Sophie and Ethan have loved having new friends to get to know. Our shipping container also arrived, so we have really enjoyed setting up house and making the space feel familiar and like home. We have rediscovered many of our possessions, some that we haven’t seen since we packed them up before moving to Kenya the first time in 2008. It feels so good to be settled, That isn’t to say that setting up house hasn’t been without difficulties. We discovered quickly that the solar panel that heats our water is not extremely effective during the rain season (now). We have been getting enough warm water for the kids to have a warm bath in the evenings….but that is about all. So we are learning to embrace cold showers….but we are also strongly considering installing an electronic water heater as a back-up option. 🙂 The last several days the lack of warm water has not been an issue because we haven’t had water at all in our house. In a case of extreme irony, we have gotten so much rain recently that some of the Kenya Power stations flooded, causing even more power outages than normal, which led to the pumps that generate the water in our community stalling, which resulted in no water for the community……so too much water (rain) has resulted in no water. There have also been some quirky issues with the house that are the result of a fundi making jua kali repairs (handyman, quick fix that doesn’t always last), but these situations have also provided a lot of laughs for us. in the grand scheme these are only minor inconveniences though and are nothing compared to challenges many others face every day. We feel extremely blessed and fortunate for the housing situation we have. After over 2 months of being vagabonds….it feels so good to be home. We also finally have our vehicle! Two months after purchasing the Land Rover we have finally gotten through the many levels of paperwork, approval, and servicing, and have been driving it for a little over a week. We have already put it to the test traveling to some of our projects in muddy and rainy conditions, and it is going to be the perfect vehicle our family. The last several weeks we have visited several of our projects and partner ministries, and we are very excited and encouraged about the future of these partnerships. Earlier in the month we were able to visit Calvary Christian School Ruai, a school of 150 children. This school is where we helped start the Chicken Project back in 2011, which started us on this path of sustainable development for our partner ministries. We enjoyed spending the day with the children and Sophie and Ethan even helped us perform a skit for them. The directors, Joseph and Eunice Mboya, have been friends and partners for many years, so we enjoyed the opportunity to meet and share a meal with them. Jamie and Joe (People to People Assistant) also made a trip up to Lokichoggio, Kenya, to get updates on the People to People children in that feeding program. Loki is a small town in the far Northwestern corner of Kenya, the last town before reaching the South Sudan border, and is a remote and arid area with a lot of need. While there, they also made a trip down to Kakuma Refugee Camp to touch base with our partners there. There is a lot of need in both of these areas and we are prayerfully considering ways to better support them. If you would like to read a more in-depth recap of these visits by clicking the following links: Lokichoggio. Kakuma Refugee Camp. In early June, we visited the feeding program at Nakuru CMD (Christian Ministries to the Destitute), to get PtoP Updates for all of the sponsored children. This ministry is directed by Bishop Wekesa and his wife Gladys. They started this ministry 15 years ago and it has grown into an amazing orphanage and school….home to approximately 150 abandoned children. We have known this dear couple since 2002 and it has been incredible watching this ministry grow. We were blessed to have a large team (the family of Michael and Tammy McRae, IPHC missionaries) and two Emmanuel College students (Janene Wooten, daughter of Ron and Sharon Wooten, and Hayley) with us. Along with the help of Joe and the rest of the team, we had an amazing day full of ministry, fun and games. We visited again this week to deliver much needed medical supplies for the children and we also met with the directors to discuss possible sustainable development projects. We will be sharing more about that soon! We have also been able to make a few visits to Hosanna Children’s Home to deliver supplemental food, as well as to check on the progress of the Tilapia Pond (more details below). 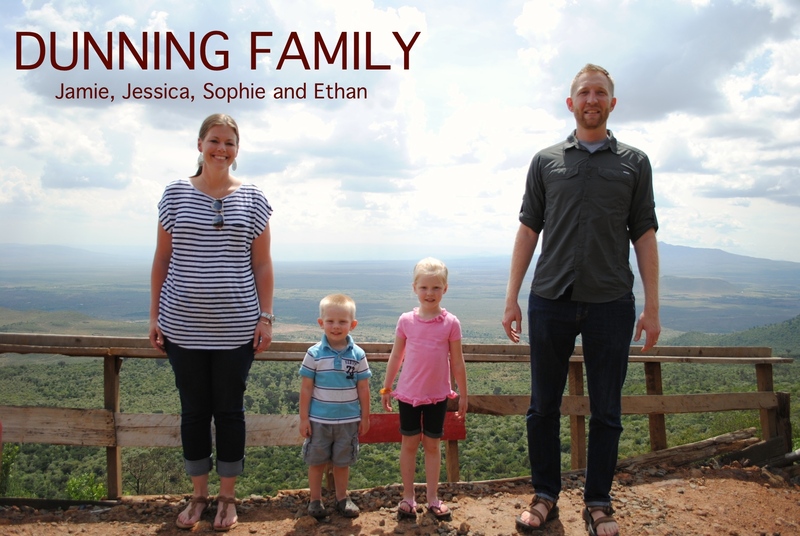 Jessica has started serving through music ministry at Calvary Worship Center, and Jamie has had a few opportunities to speak recently (CWC Men’s Ministry, Kakuma, Nakuru, Eldoret Worship Center). Other than that we have continued working towards organizing the People to People records, restructuring a bit, as well as taking a few days to do a quick remodel of our PTP office space to make it a more conducive work environment. Construction on the Tilapia Fish Pond sustainability project at Hosanna Children’s Home is nearly finished! We hope to be able to stock the pond with fingerlings within the next few weeks. This fish pond will provide support for Hosanna in a variety of ways. It will, first of all, provide a sustainable income source that will assist the orphanage in meeting the many costs of feeding and housing the 51 children. It will also provide an additional source of healthy protein that can supplement the feeding program. We awoke early to make the 95km drive south to the Kakuma Refugee Camp. I was pleasantly surprised to find that the road from Lokichoggio to Kakuma was remarkably smooth and well-paved. It was a beautifully scenic drive, offering views of large mountains and semi-desert landscapes. Other than the occasional military checkpoint, passing Turkana pastoralist, or camel crossing, very few people were encountered on the journey. The camp is located just north of Kakuma town. Kakuma means “nowhere” in Kiswahili, which is an accurate name due to it’s being extremely isolated. The camp was established in 1992 to serve refugees that were displaced from their home countries due to war or persecution. It was originally for Sudanese refugees, but the camp has since expanded to serve refugees from Somalia, Ethiopia, Burundi, the Democratic Republic of Congo, Eritrea, Uganda, and Rwanda. The current population is over 175,000 people. I had been aware of the camp for many years having read about it in numerous articles, journals, memoirs, and novels about the “Lost Boys” of Sudan. The camp was much of what I expected, but nothing could have prepared me for it’s size. It is a basically a small city of mabati (ironsheet) structures, thatched roof huts, tents, and mud-brick abodes. We had made arrangements to meet with a pastor that had started a church in the camp. He has lived in the camp the majority of his life since fleeing from Burundi as a boy. His church has a large congregation that is made up of people from several different nations. They also have a feeding program for children within the community. We joined them on a Sunday, so the service was in progress when we arrived. We were welcomed into the partially built structure by joyful worship, led by adults, teenagers, and children. After the time of worship, the members began to bring their offering to the front of the church. I immediately noticed that there were multiple baskets for the offering. One for tithes, one for missions and outreach, and one for the building fund. I watched as members placed their offerings into the different baskets. Then a strange, but beautiful, thing happened. An elderly lady came forward carrying a burlap sack of flour. I watched as she stepped onto the platform and laid her bag on the floor beside the offering baskets. After a few moments, several others came forward with bags of flour, rice, and maize. This food offering was a sacrifice…so much more of a sacrifice than the few bills I had placed in the basket. I was stunned by the beauty of it. Residents of the camp are largely unable to find work within the camp and they are restricted from seeking education or employment outside of it. 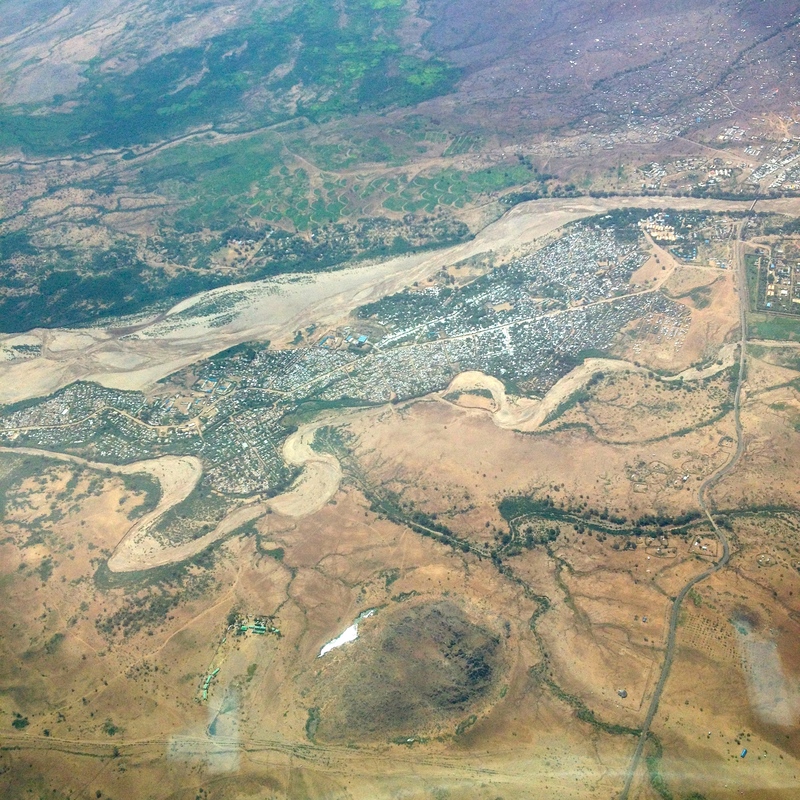 The semi-arid climate of Kakuma is not suited for agriculture, which makes it difficult to produce food. Many of the refugees only have the rations that are provided by the United Nations High Commissioner for Refugees (UNHCR). Which, unfortunately, I have recently read will be reduced greatly due to lack of funding. At the church I witnessed people that may not have had money, but that realized that everyone has something that can be given. They offered a sacrificial offering, giving a portion of all that they had. This portion could then be used by the church to supplement the feeding program. The pastor asked me if I would share a message with the church. I spoke on Ephesians 3:20, that, through Christ, God is capable of doing more for us than we can ask or even imagine. I referenced the Gospel account of Jesus’ feeding the 5,000. As I spoke I couldn’t help but wonder…..if I had been through the difficulties and trials of these people, would my faith be as strong? Would I be able to believe that God was capable of more, if I had been torn from my home nation and now lived as a second-class citizen in an impoverished camp? As I shared with them of God’s faithfulness, I realized that they already knew this far more than I did. Life had handed them very difficult circumstances, but through them these survivors had found the faithfulness of God. They had found healing and restoration in Him. A great thing is happening in the people of this church (and the other 6 churches this pastor has planted throughout the camp) and I truly believe that God is going to do even more for them. After the service we met with the pastor in a small mud-walled room. He offered us each a warm bottle of soda that was, surprisingly, refreshing. He shared about the good things that were happening, but also of the current needs and challenges they were facing. I left him with a large bag of moringa seeds, in hopes that this versatile “miracle” plant would produce a crop that benefits the church and community. I also made a commitment to him to search for ways that we can potentially partner with them and offer more support…something we are currently considering. After the meeting we began the journey back to Lokichoggio. I looked forward to spending the evening relaxing at the Trackmark Camp and watching the “Survival Sunday” EPL football matches. With heaviness, I contemplated the disparity between the coming events of my evening (even at a rustic camp in Loki) and those of the people I had just left. The lessons of the day went though my mind. There is always more that can be given, always more that can be offered. Christ can do more through us than we can ask or imagine. My prayer is that I will live my life in a way that demonstrates that I truly believe these truths. That is my prayer for all of us. I climbed into the co-pilot’s chair, excited for the opportunity to have such a privileged view on my flight to Lokichoggio. I turned around to check on Joe. This was his first flight and he was understandably anxious. Very few people fly for the first time on such a small aircraft, especially in Joe’s seat, a bench-seat behind the cargo. Though only several meters apart, we were as far away from each other as possible without leaving the plane. I was thankful for MAF (Missions Aviation Fellowship) for making it possible for us to visit our feeding program in Lokichoggio, Kenya, without having to travel by car for over 24 hours through dangerous and difficult terrain. I gave Joe a quick thumb’s up. He smiled anxiously and returned the gesture. I slipped on the co-pilot headset and listened as air traffic control cleared us for take-off. Within a few moments we were airborne and the Nairobi skyline vanished, being replaced by rolling valleys, ridged mountains, and a sea of clouds. After a short 2 1/2hr. flight we landed at the Loki airstrip, greeted by the beautiful Mogilia Mountain Range, which serves as a scenic backdrop. Lokichoggio may be in an isolated corner of Kenya, but it would be difficult to find a more beautiful place to land a plane. The town sits in a narrow valley between the Songot Mountains and the Mogilia Range, so there are beautiful mountain vistas in nearly every direction. I inquired as to how Joe had faired on his first flight. Overall, he enjoyed the experience, but was quite perplexed by the pressure that was overwhelming his ears. Anxious to meet with Pastor M., the director of the feeding program, we quickly made our way to our camp, had a bite for lunch, and then departed for the church. As we bounced a long the bumpy roads, I was struck by the greenness of the land. Most people would have looked around and only seen a dry and arid semi-desert, but compared to my previous trips to this area, there was a copious amount of vegetation. I found out that in the month prior there had been a very heavy rain season, accounting for the growth. We arrived at the church and I, again, was shocked by the amount of vegetation on the compound. Quickly that shock turned to dismay as I looked beyond the green banks to see the familiar dry riverbed in the distance. The heavy rain that had fallen in the previous month had caused the river to surge, nearly doubling in width, leading to incredible vegetation growth on both banks of the river. However, the river had dried up since, offering a glimpse as to what was in store for this land. Lokichoggio, because it is situated in between the mountains, actually gets a decent amount of rainfall, but the sandy soil quickly absorbs most of it. In our meeting with Pastor M, I quickly realized that there was a lot of work to do if this program was going to be sustained. The surrounding community is overwhelmed by need. The church is doing it’s best to help meet some of those needs by offering a feeding program for children, but resources are limited and the members of the church have needs of their own. We made plans to have a small service the following day, as well as to prepare a feast for the church members and all of the children that may show up. My primary focus was to get updates on the People to People sponsored children, but we also wanted to bless all that may be present. After the meeting, Joe and I returned to Trackmark Camp and spent the rest of the hot afternoon relaxing and swatting mosquitos. Early the next morning we arrived at the church compound, surprised to find only a handful of children. We began making preparations for the day and within minutes the number of children doubled, and continued to multiply over the next hour. By the time we were ready to begin there were over 150 children present, not counting adults. Following a short program for the kids, I began the process of completing updates on the PtoP sponsored children (Correspondence Letters, Photos, Artwork, Crafts, Personal Info, etc.) while Teacher Joe engaged the rest of the children with games and activities. After several hours we gathered back together in the church. Then members came forward to make a beautiful presentation to us. Northwestern Kenya is home to the Turkana tribe, a semi-nomadic people. As with other Nilotic tribes, many Turkana women are gifted bead-workers. They make beautiful beaded jewelry and ornamental decorations. As a token of their gratitude, several women of the church presented me with a custom bracelet and a leather/beaded belt. The women gathered around me and placed the bracelet on my arm and buckled the belt around my waist…which provided only a few moments of awkward invasions of privacy. I looked closely at the bracelet and saw the words “James Dunning” displayed in bright white beads. The pastor presented us each with a freshly carved Aburo (traditional walking/fighting stick) and ekicholong (a traditional stool/headrest carried by Turkana). The women gathered around me singing words in a language I could not understand, but their joyous dancing and exuberant faces needed no translation. This was a celebration. I found myself feeling overwhelmed with conflicting emotions. On one hand I was deeply honored by this outpouring of gratitude and respect, but at the same time I felt awkward because I had done nothing to deserve it. Sure, through PtoP we’ve provided funds for the feeding program. We strive to bring awareness and work to foster communication with sponsors to ensure that their assistance continues, but compared to the needs these people face every day….there is so much more to be done. I decided in that moment that we must find a way to better support this program, this church, and these people. One idea that the ladies brought to me was to assist them in starting a business selling their beadwork. This is something that we are prayerfully considering because we would love the opportunity to partner with and empower these women. There is a lot to consider and to take into account, but we are hopeful, because this could be a way to generate income for members of the community, which would also benefit the church and the feeding program. I thanked them for their generous gifts and then made a presentation to them. 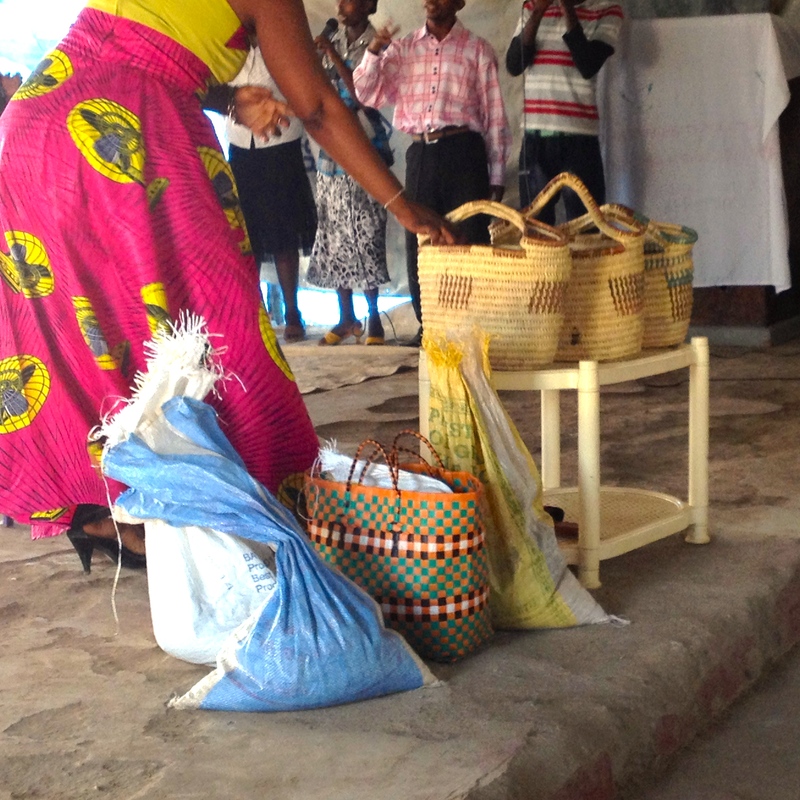 I presented them with a bag of Moringa seeds….hundreds of Moringa seeds. Moringa is a type of tree that grows well in dry and arid regions. It can thrive with very little water. It also produces edible leaves that are packed with nutrients, vitamins, minerals, antioxidants and anti-inflammatory properties. It is even used for medicinal purposes, both internally and externally. It is often referred to as a miracle tree. We recently made a great connection with a supplier in Nairobi that offers large quantities of moringa at a low price. Lokichoggio has the climate for the plant and the church has a decent amount of land. 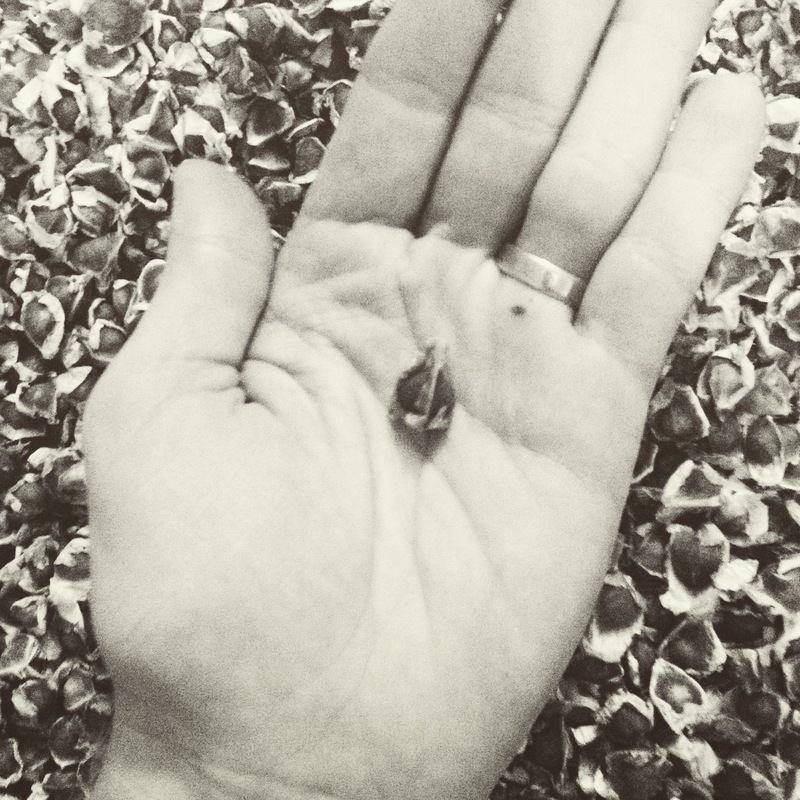 We gave the seeds with the hope that it will be the beginning of a sustainable farm. The plants can provide supplemental food for the feeding program and church members, as well as provide potential income source through the selling of seeds and leaves in the community. At least that is the hope. After the presentations, the feast began. It was both rewarding and humbling to see the amount of joy that a simple meal of rice and beans brought these children. Such a small gift can go so far. The next day we would be making the journey south, to the Kakuma Refugee Camp. So we headed back to the Trackmark for an evening of resting, reading, and mosquito swatting. 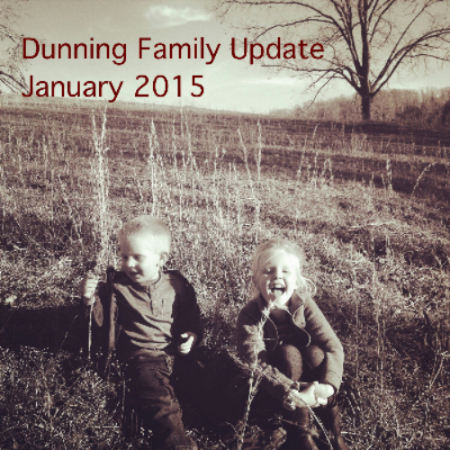 ***This post was originally written in mid-January, but we realized we never published it! Better late than never, right? We want to begin this newsletter by sharing some incredible news that we have just received. Based on the support that we have raised, and the commitments that have been made, we have been approved and released to return to Kenya in March! We are extremely excited to get back to Kenya, and to continue and expand our work and partnerships there. We are thankful for the generous and faithful support of all of you that have made this possible. The last 18 months of travel and itineration have been amazing, but also difficult and arduous at times. During this time we have spoken at 70 churches, over 50 events, and driven over 50,000 miles…while juggling work and life with young kids. But it has also been an encouraging and refreshing season, because of the amazing people that we have met and the friends that we have made. We can’t thank those of you that pray for us and support us enough. We are so grateful for your partnership! So, what do the next several weeks look like for us? We have a lot of planning to do and preparations to make. First of all, we want to finish up our lives here well. Jessica will wrap up her work at Falcon Children’s Home this week, and I will be done tutoring, for the most part. We will begin packing up all of our belongings, purchasing items that we will need for the next 3 years, and organizing a shipping container. There is much to do! Our main focus the coming weeks will be to maximize our time with family and friends. The most difficult part of this journey is before us. We have lived abroad for 5 years. Our children have lived abroad, and were born in Kenya. We know the difficulty of saying goodbye to family, but this departure will be the toughest. Being home for 18 months has allowed us to spend a lot of time with family, and the kids have gotten used to having their grandparents, aunts, uncles, and cousins as a part of their daily lives. We know the goodbyes will be tough for all of us. That’s why we are going to spend as much time with them as possible in the coming weeks. Next week, Jessica’s family is generously taking us to Disney World! They wanted to take Sophie and Ethan before we left, and luckily they are letting Jessica and I tag along as well! We are all very excited about this trip. We can’t wait to see the kids reactions. They nearly explode with joy in the Disney Store, so we can’t imagine how Disney World is going to affect them. We are speaking at a church in South GA this weekend, and then we will head to Disney from there. We are also planning to visit and meet up with some of our closest friends and faithful supporters in OR before we leave. We also hope to find ways to see as many friends and supporters as possible in the coming weeks. We appreciate your continued prayer during this transition time, both for us and our extended families. We love and appreciate you all. 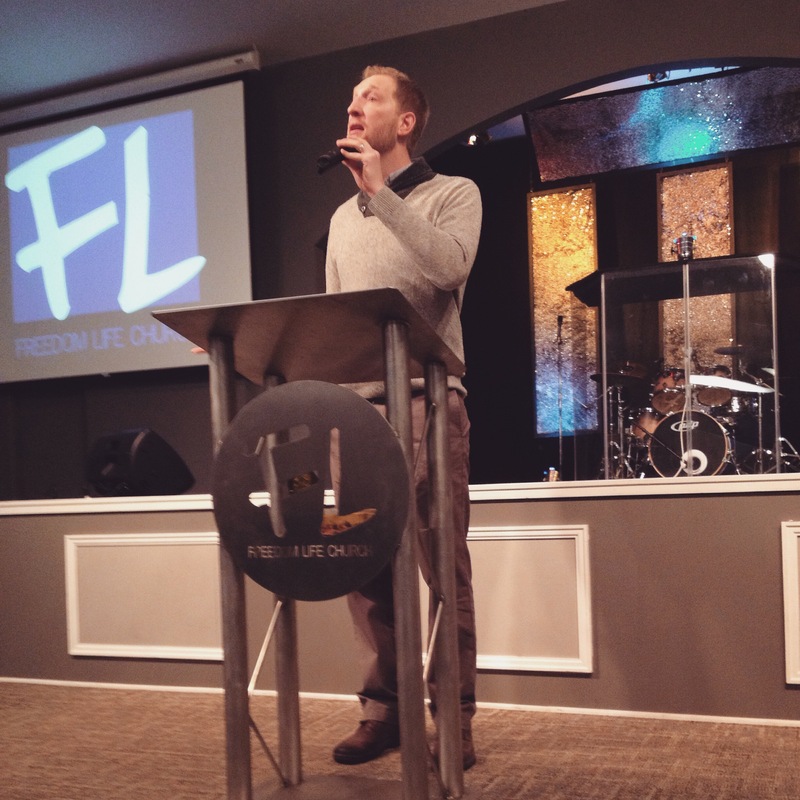 Speaking at Freedom Life Church Charleston. We are grateful to have had the opportunity to speak at several more wonderful churches in the past several weeks. Thanks to to all of these churches and pastors. Advent is the season when we are especially mindful of “the coming” of Christ. It is not only of his coming 2,000 years ago, when he entered the world as a child, walked among us, taught us how to live and love, and ultimately offered himself as a sacrifice for our redemption. Neither is it only of his future coming, when he will establish his Kingdom in fullness and all of creation will be restored. But it is also of his present coming, in the here and now. Christ comes to us in every moment of every day. He comes to us through the gentle whisper of the Holy Spirit that draws us to him. When truth is spoken and grace is offered, he comes to us. When light is chosen over darkness and peace instead of war, when love is offered and hate is rejected, he comes. He comes to us through the beauty of creation and the splendor of the heavens. He comes to us in the faces of the least of these and urges us to serve him by serving others. During this season of Advent, I pray that we will always be aware of His presence and that we never fail to recognize him when he comes to us.